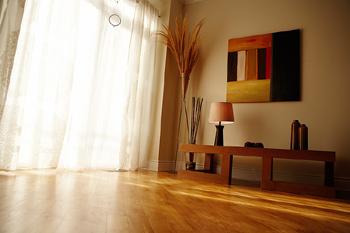 It almost goes without saying that your home will show better when you get rid of the extra clutter. The question is: what do you do with all the things that you don’t want to get rid of but are taking up too much space? If you don’t have enough space to store stuff in your home itself, consider renting space from a storage facility while your property is up for sale. What hours of the day is it accessible? Is there enough space for parking? How far is your vehicle from the unit? Rent a smaller unit and use every inch of space. It’s better to use up all the space that you have than to pay for space you’re not using. Even if the unit is jam-packed, you still need to be able to get in and out easily. Be sure to leave walkways so you can make your way around boxes easily. 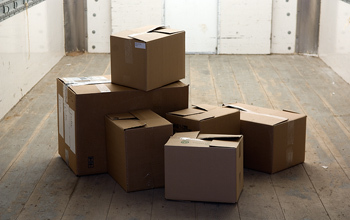 You can fit more stuff in your storage unit by using boxes and containers of the same size and shape. Fill boxes to the top to keep them from collapsing. Keep valuable items hidden in the back where they won’t be easy to find. Now that you have some helpful hints, hopefully you’ll see that storing while selling is no hassle at all! An interior designer is trained, informed and knowledgeable about home design. They can help you see the big picture because they do not feel attached to your home. They will save you time and energy by presenting you with all the possibilities and helping you make an informed decision. They can make the most of what you already have in your home. They have access to the best resources. They can give you an unbiased opinion. They can offer advice if you have no artistic flair or don’t trust your own taste. It costs money to hire an interior designer. Your designer’s taste might differ from your own. Even though you have the final say, you won’t be in full control of decorating ideas. If you’ve decided to seek help and hire a home decorator, be aware that there is a difference between an interior designer and an interior decorator. A designer is someone who is professionally trained and probably even has a degree in the design field. In some states, interior designers are required to have a license to prove that they have the necessary training and qualifications. A designer focuses on the functionality and efficiency of a space. A decorator, on the other hand, does not necessarily have any formal training and deals mainly with surface decor such as paint and furniture. Both professions serve a purpose in home decorating, but it’s important not to confuse the two. 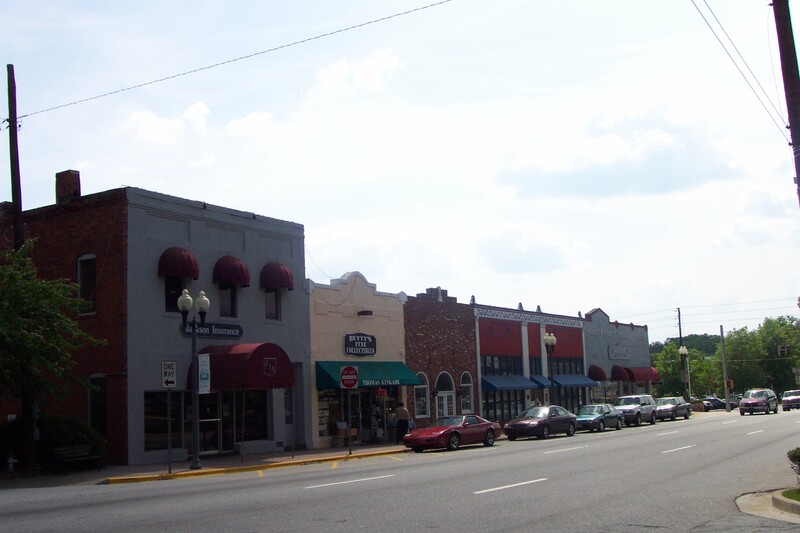 Set approximately 22 miles from Atlanta, Fayetteville offers the charm of small-town living with the convenience of being close to a big city. This is an area that is rich in history, with such historical must-see spots as the Holliday-Dorsey-Fife House Museum and the Fayette County Courthouse. Built in 1825 and located at the center of the Fayetteville town square, the Fayette County Courthouse is the oldest surviving courthouse in Georgia. Living in Fayetteville, you can visit the Villages Amphitheater in the heart of downtown Fayetteville for outdoor concerts and events and get all your shopping done at Fayette Pavilion. You’ll love the proximity to Atlanta! Take a look at these Buy Owner properties currently for sale in Fayetteville! Looking for another reason to sell with Buy Owner? How about our proven track record of satisfied customers? Since its conception in 1984, Buy Owner has continued to be the leader in the “for sale by owner” industry, expanding to 13 of the nation’s top real estate markets. From Atlanta to Dallas, Chicago to Fort Lauderdale, Buy Owner boasts countless success stories from happy customers all over the country (read testimonials here!). When you choose to sell your home through Buy Owner, you’ll have the confidence of knowing that so many sellers have had success with us in the past. When you sell with Buy Owner, you have the advantage of using the Buy Owner Sellers Tool to make personalized flyers to promote your home. The Buy Owner Sellers Tool lets you create three styles of flyers in any of six different colors. You get to choose the design, the color scheme and the content of the flyer. You can use your existing professional description, or you can create your own description specific to your flyer. By using the Buy Owner Sellers Tool, you’ll have custom flyers that you can print out and distribute! You’ll want to place your office in a convenient location, but privacy is also important so you won’t be distracted by outside noise. You could even consider making a private entrance from the outside so your business associates don’t have to walk through the whole house to get to the office. This is especially convenient if you run a business from home! 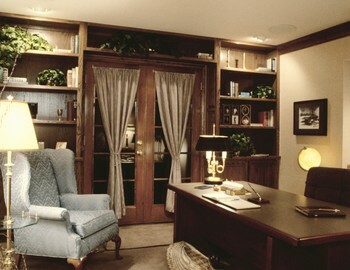 Comfort is key when it comes to furnishing your home office. You’ll want to find a chair that gives you good support for a good length of time so you can get a lot of work done, and your desk should be set up so you’re not straining to see your computer or constantly reaching for your keyboard or mouse. Also think about using bookshelves to display literature or decorative keepsakes. Extra seating may come in handy when you need to get away from your desk, so consider adding a comfortable chair or a small couch. Ideally you’ll want as much natural light as possible. But even with several windows, you may still need a brighter work space. Recessed lighting is an elegant way to bring a subtle glow to the entire space, while task lamps can illuminate specific areas like your desk that require more direct light. By getting rid of clutter in your work space, you’ll be able to focus on the task at hand. Keep an organized junk drawer in your desk for all your odds and ends, stuff that doesn’t really have a designated spot. The bookshelves that you use for display can also offer extra storage space, and file cabinets are a great way to keep all your paperwork organized. Whether you currently work from home, hope to in the future or even if you just want a place to manage personal files, bills and so on, a home office is a valuable asset. Follow these tips for setting yours up, and you’ll make the most the space! Because they can be such a costly purchase, deciding on window treatments can be overwhelming. You want to be sure to choose something with staying power, something that will last in quality and something that you won’t change your mind about a few weeks or months down the road. Here are some important things to keep in mind when shopping for window treatments. The purpose of window treatments is to provide privacy and light control, but they should also fit with the decor in your home. You should prioritize according to your budget by deciding which rooms are most in need of window treatments, and then decide what the purpose of the treatments is in each individual room. So how do you know which window treatments will go best in each room in your home? Privacy is important in the bedrooms, particularly in the master suite, so be sure to choose something that will provide complete window coverage. Fabric, roller or pleated shades would be a good option as long as they’re not sheer, or perhaps you would prefer curtains or drapes that block the view when closed but also let in plenty of light when opened. In the living room, the family room or wherever you watch T.V., get window treatments that will cut down on glare. Metal, wood and natural blinds will still let in ample light but can be tilted to avoid direct sunlight. Vertical blinds are often found on sliding glass doors, but maybe try something like panel track blinds or custom drapes for a more stylish option. You’ll want a lot of natural light in the kitchen, so try something simple and sheer for a streamlined look. Pleated shades provide privacy and still allow sunlight to fill the room. Wood shutters are also stylish, but be aware that they don’t provide complete privacy, as it may be possible to see through the slats. If you’re not worried about privacy, simply add a valance above the windows in the kitchen. When it comes to the dining room, you’ll want something that adds elegance and sophistication for formal occasions. Lavish curtains or drapes provide the perfect backdrop for formal meals served in the dining room, and they can also be opened or pulled back for natural light. There are really no rules when it comes to choosing window treatments, only suggestions. But keep in mind that the goal is to create a sense of unity and a cohesive design throughout your home. When decorating your home, it’s important to consider the paint palette you want to use, as this can have a dramatic effect on the feel of a room. When you break down colors on the color wheel, they fall into two groups: warm colors and cool colors. Warm colors are yellow-based and include shades of red, yellow and orange, with metallic tones of gold, brass and bronze. On the other side of the spectrum, cool colors are blue-based and include blues, greens and purples, as well as metallics like silver, chrome and nickel. As a general rule, cool colors are relaxing, while warm colors are stimulating. Keep this in mind when choosing the color palette for each room in your home. Warm colors will create a more inviting atmosphere in gathering spaces like living rooms and dining rooms. Try rich shades of red, orange or yellow. Because of their calming effect, cool colors work best in bathrooms and even bedrooms. 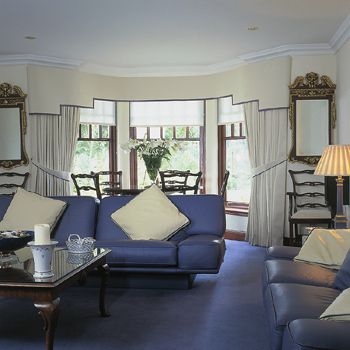 Light blue tones, for example, will provide a very relaxing atmosphere. In addition to these two groups, there are colors that don’t fall into a definitive category, colors like shades of white, beige and gray. These are considered neutral colors and can be used as much or as little as you want. Just be careful not to overdo it, as an abundance of neutral colors can easily make a decorating scheme appear boring and plain. If you’re scared of using color, use an accent shade to add a splash of color that isn’t overwhelming. Incorporate this color by using a bright pillow or throw, or a decorative vase or curtains. Red technically falls into the warm color category, but because it is so bold, it is a popular choice as an accent color. You can use cool and warm colors together, but do so sparingly. If a room displays a warm color scheme, choose two or three accent pieces of the same cool color. If the room showcases cool colors, on the other hand, use a couple accent pieces in a warm shade. This will also prevent the decor from looking too matchy. When decorating a room that opens directly to another, choose a different shade of the same color so that you don’t break the creative flow from room to room. On August 12, 2009, Illinois Governor Pat Quinn confirmed changes made to the Seller Disclosure Form and to the Radon Disclosure Law, both effective immediately and requiring the use of revised forms. 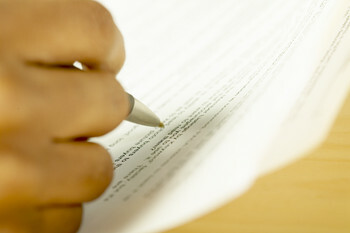 The Seller Disclosure Form has been modified to add a question related to methamphetamines. The buyer will now have to check off whether they are or are not aware that the property has been used for the manufacture of methamphetamine. This is a concern for homeowners, as the manufacture of meth creates a buildup of toxicity in the home that could lead to long-term health problems for its inhabitants. So what does this mean for potential homebuyers? If you’re in the market for a new home, you should be aware of these updates and make sure that the seller has complied with the new law. 1. Take everything out of the pantry. 2. When you’re piling everything on the counter, try to keep like items together so it will be easier to organize later on. 3. Check the dates on the food and get rid of anything that is spoiled or expired. 4. Wipe down pantry shelves and replace the shelf paper. 5. Be sure to use square containers to store items, as round containers waste space. 6. Label containers and shelves so it will be easy to find what you’re looking for. 7. When placing items back in the pantry, group like items together. For example, keep breakfast foods like cereal and oatmeal on a shelf separate from baking goods, canned goods and snacks. 8. 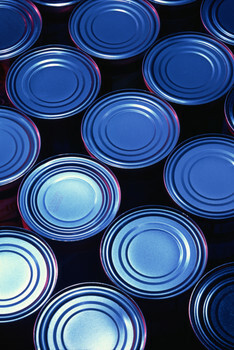 Canned items can be grouped even further by separating canned vegetables from canned fruits and soups. The same goes for box mixes like macaroni and cheese, rice, pastas and bread mixes. 9. Items you use most should be at eye level, while items you don’t use very often can be stored at the bottom of the pantry. 10. Heavier items should also be stored on the floor or on a lower shelf. Remember, there is no right way to organize your pantry. Just keep things organized in a way that works for you!